The Tri-Awning is a great item to bring along to almost any outdoor event, rain or shine. With endless height and area options, it can fit all your activity needs and help block the sun at different times of the day. Whether you're playing games, taking a break from the sun, or enjoying a picnic, the Tri-Awning compacts so small, and sets up so easy, that it is going to become an item you want to bring to all your events. This awning uses an easy to assemble 3-pole design. 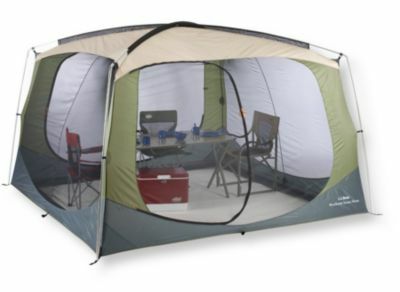 It includes a removable "sunshield" side fabric panel for extra protection from the sun, wind, or rain. One side eave of the awning is taller so you have improved visibility. Weighing in at only eleven pounds, it won't be a struggle to bring the Tri-Awning from one event to another, or to store it at home in-between. 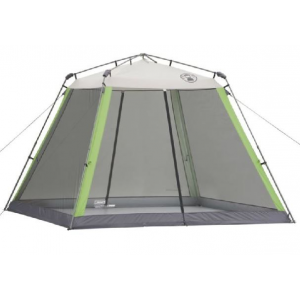 Features: - Easy-to-assemble three-pole design - Includes "sunshield" side fabric panel for extra protection - One side eave is taller for improved visibility - Fabric is UV-resistant 75D polyester with 1500mm multi-pass urethane coating - Stakes, guy ropes, and zippered 5" x 5" x 28" carry bag included - 11 mm shock-corded fiberglass poles - Variable height and width adjustment for best sun protection - 15' x 15' x 15' (95 sq. ft.) maximum size with 6' center height - 13.5' x 13.5' x 13.5' (75 sq. ft.) size with 6'6 center height - Total weight: 9 lbs. 8 oz. 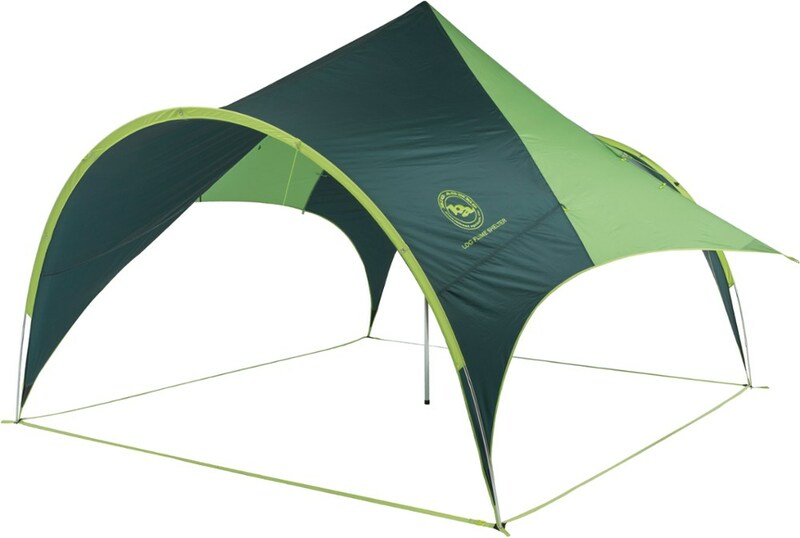 When youre camping or at the beach, Alps Mountaineerings Tri-Awning Sunshade adds cooling shade and protective shelter to your outdoor fun. Its three-pole design is quick and simple to set up. Strong UV-resistant 75-denier polyester fabric comes equipped with a 1,500mm urethane coating to keep you dry if it rains. 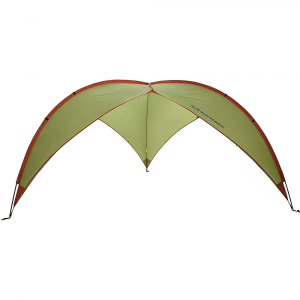 For extra shelter from the sun and wind, this design has sunshield side fabric panels. Strong, shock-corded fiberglass poles are built to flex and withstand high winds. One side is slightly higher for extra visibility, yet this design allows for variable heights and widths to suit your situation. Includes stakes, guy ropes and zippered carry bag. Imported. Coverage:95 sq. ft (6-ft. center ht. );75 sq. ft. (66 center ht.) Wt: 9.5 lbs. Cancer and Reproductive Harm- www.P65Warnings.ca.gov. Type: Canopies & Shelters. "ALPS Mountaineering Camp & Hike Tri-Awning 5931019. With endless height and area options it can fit all your activity needs and help block the sun at different times of the day. Whether you're playing games taking a break from the sun or enjoying a picnic the Tri-Awning compacts so small and sets up so easy that it is going to become an item you want to bring to all your events. This awning uses an easy to assemble 3-pole design. 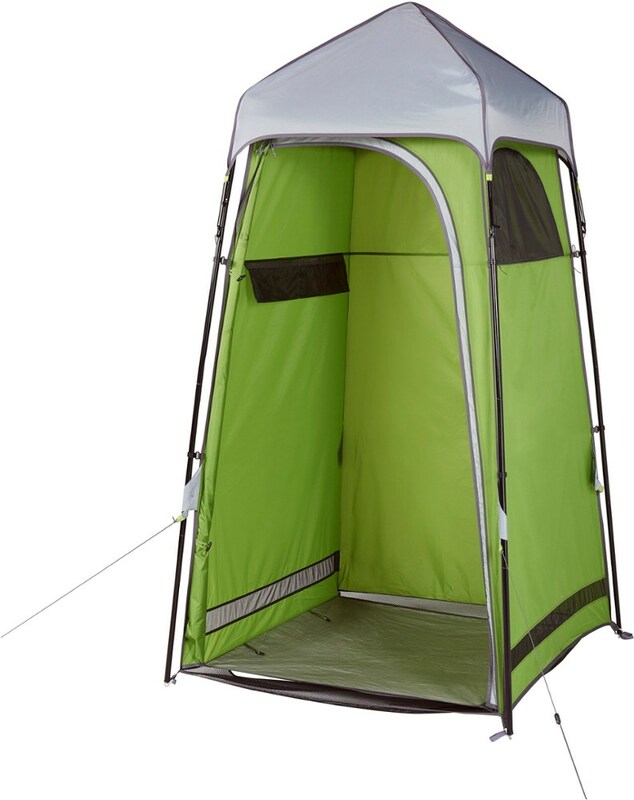 It includes a removable sunshield side fabric panel for extra protection from the sun wind or rain. One side eave of the awning is taller so you have improved visibility. 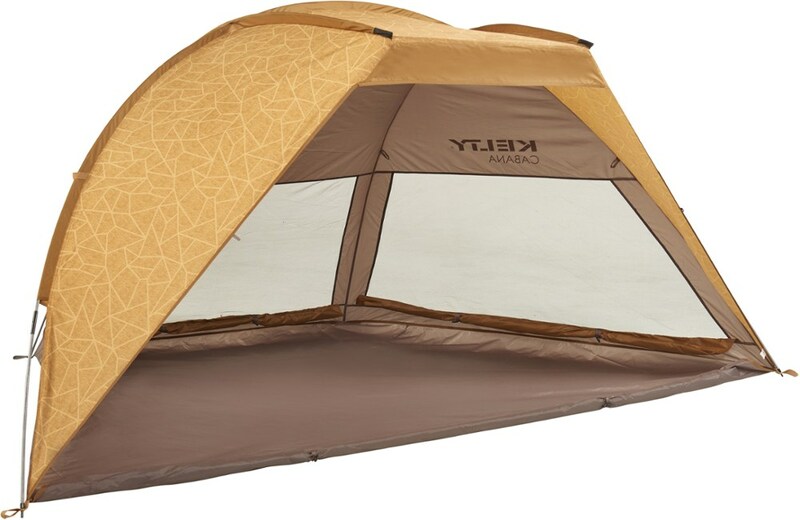 Weighing in at only eleven pounds it won't be a struggle to bring the Tri-Awning from one event to another or to store it at home in-between."